Stick up for your friends. Sometimes, sticking up for your friends means having to kill a whole lot of people. At least, in Sin City it does! 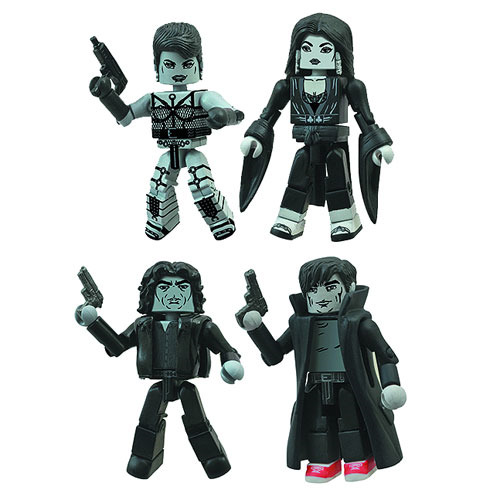 The third storyline from the groundbreaking 2005 movie is now 4-pack of Minimates mini-figures, including Dwight, Gail, Miho and Jackie-Boy! Each 2-inch Minimates mini-figure features 14 points of articulation and interchangeable parts and accessories. Comes packaged on a full-color blister card. Ages 8 and up.